Oddisee is hands down one of my favorite unsung MC’s in the game today. He’s been putting out music at a pretty steady pace for some years now and he never fails to deliver. Last year’s Odd Tape and Alwasta EP still get regular play from me, with Odd Tape in particular getting a lot of play due to it’s incredible instrumentals. While he’s definitely an underground act, more and more people have begun to take notice. Looking to keep building on the momentum he already had an album ready to go for 2017. While he’s been playing the MC role a lot more lately, Oddisee first cut his teeth in the industry as a producer, an exceptional one at that, and the production on The Iceberg is nothing less than that. I’m not sure if all of the tracks are fully produced through live instrumentation but it sounds so clean that it’s hard to imagine that it’s not. Live instrumentation has slowly been creeping back into hip-hop recording and there’s no one better at it than him at the moment. I don’t know what it is, but the live instrumentation lends an authenticity and genuineness to his music that just can’t be reproduced digitally. It’s all genuinely good feeling, soulful production that’s light and snappy in a way that would even please my parents. This is high art hip-hop production in it’s essence and it sounds so good. That breakdown at the end of “Rights & Wrongs” though! Lyrically, Oddisee isn’t the most technically gifted MC out there but he has a message and strong sense of self that comes through on every song. The Iceberg isn’t political rap, but it’s definitely socially conscious as he examines all the troubles and ills our society, and the black community in general, is going through. He never goes as far as trying to provide answers to the tough questions and situations he raises, but he approaches everything in a thoughtful manner that nudges listeners to take notice and think about themselves. Have you heard The Iceberg? What’d you think about it? How does it compare to last year’s projects? Let me know in the comments below and be sure to leave your rating for the album. 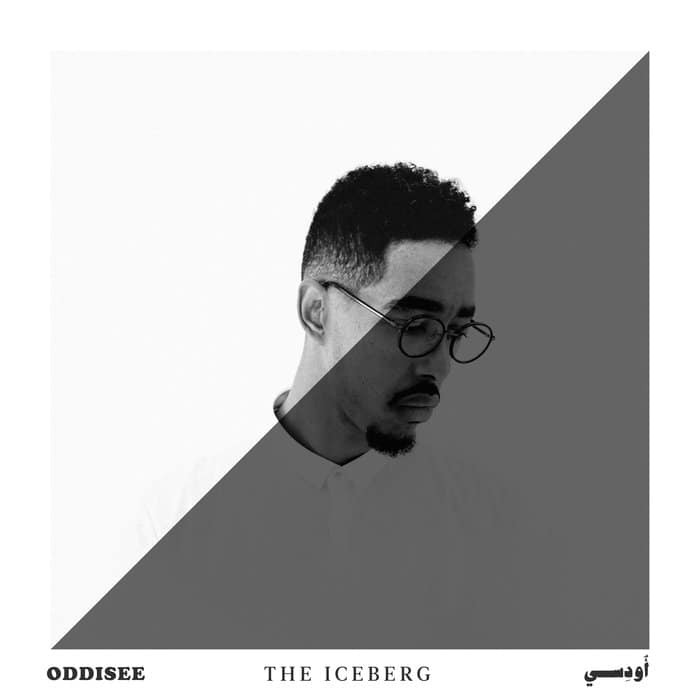 The Iceberg is yet another very strong release from Oddisee with some great sounding live instrumental hip-hop with a thoughtful, socially conscious message.